A person with Auditory Processing Disorder (sometimes known as Central Auditory Processing Disorder) has normal hearing, but has difficulty processing the information they hear. In other words, they have difficulty recognising and interpreting what they hear. Children with Auditory Processing Disorder often (but not always) have a language disorder as well. APD is diagnosed by an audiologist and language disorders are diagnosed by a speech pathologist. Recommending changes to the child’s learning environment for optimum performance in school. 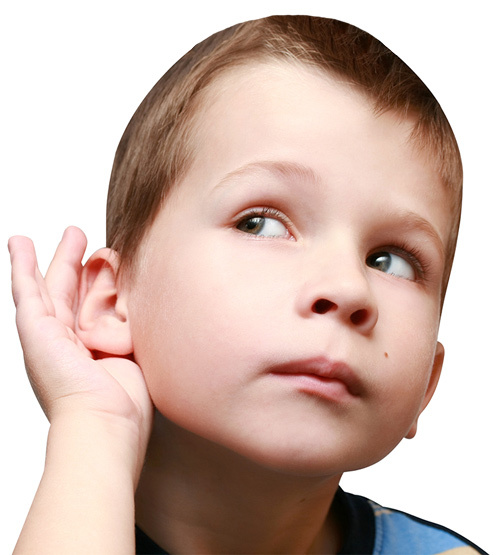 Auditory training – therapy to improve your child’s auditory memory and listening skills. Language therapy – therapy to improve your child’s vocabulary and understanding and use of language. Higher level language therapy – therapy to help your child understand figurative language, jokes and sarcasm. Literacy training – working with your child to improve phonological (sound) awareness, then building on this to teach decoding strategies to improve reading. Providing your child with management strategies – equipping your child to take responsibility for hearing and understanding what is said. Bellis, TJ (2006). Understanding Auditory Processing Disorders in Children. Mokhemar, MA. (1999). The Auditory Processing Kit. Illinois: Linguisystems, Inc.